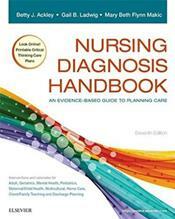 Abstract: Ackley's Nursing Diagnosis Handbook: An Evidence-Based Guide to Planning Care, 11th Edition helps practicing nurses and nursing students select appropriate nursing diagnoses and write care plans with ease and confidence. This convenient handbook shows you how to correlate nursing diagnoses with known information about clients on the basis of assessment findings, established medical or psychiatric diagnoses, and the current treatment plan. 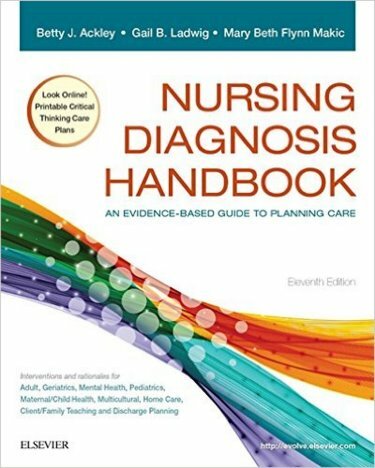 Extensively revised and updated with the new 2015-2017 NANDA-I approved nursing diagnoses, it integrates the NIC and NOC taxonomies, evidence-based nursing interventions, and adult, pediatric, geriatric, multicultural, home care, and client/family teaching and discharge planning considerations to guide you in creating unique, individualized care plans.